Key Difference: The piano and keyboard are two different types of musical instruments. While the piano is acoustic, i.e. one that plays music organically, a keyboard is electronic, i.e. uses electricity to produce music. The piano and keyboard are two different types of musical instruments. While each is popular, both have their own set of advantages and drawbacks that makes one prefer one over the other. The primary difference between the two is that piano is the older traditional model, whereas the keyboard is a modern invention. Also, while the piano is acoustic, i.e. one that plays music organically, a keyboard is electronic, i.e. uses electricity to produce music. The piano also tends to have strings, which are the ones that produce the music in the first place, whereas the keyboard does not. This also results in that fact that the piano tends to require higher maintenance as these strings need to be kept in good condition, otherwise they will snap. This is not an issue with the keyboard as it produces music digitally via sounds that have been prerecorded onto the device. A piano is more grand and organic, whereas a keyboard is more modern and digital. This has led to some to criticize the sound of the keyboard as being a cheap imitation of the piano. However, the keyboard is much more versatile than a piano, which is why it is more popular today. 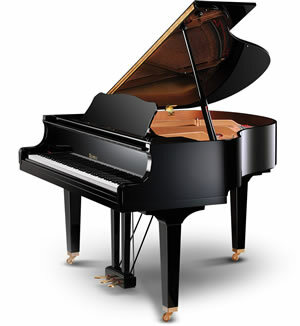 While, the piano must be tuned and maintained properly, the keyboard has not such requirements. It can be stored for years, and then pugged in and played. Additionally, while the piano plays only one type of sound, i.e. the piano, the keyboard can be used to play hundreds of sounds. It can imitate the sound of a piano, a guitar, a bango, a violin, and so many more. As long as the sound is recorded onto the keyboard, it can play it. Additionally, the keyboard can also be used to play background tracks and keep time, all things that are not possible on the piano. However, most common keyboards have a smaller key range than the piano. The keyboards commonly have 61 or 76 keys, which may prove difficult for some classical music. Still, there are keyboards available that have 88 keys, the same as the piano. The only caveat being that they tend to be more expensive than the other two types of keyboards. They are still cheaper than a full-fledged piano in any case. A piano tends to be very expensive and is not portable at all. 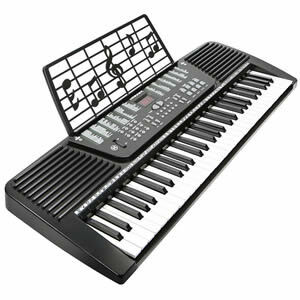 A keyboard, on the other hand, is very portable and typically costs only a fraction of the cost of a piano.